The Eureka i60 Gaming Desk is the perfect choice for your gaming battlestation. The i60 boasts a sleek 60 inch carbon fiber textured desktop and the gaming surface has plenty of space for your gaming monitors, gaming consoles, gaming keyboard, and any other gaming gear you may have. Scroll down and learn more about the Eureka i60 gaming desk or click the Buy Now button and try it for yourself risk free for 30-days. Plus, free shipping* and free return shipping* if you're not satisfied. The Eureka i60 Gaming Desk comes equipped with an integrated cable management system located under the desk. Get that tangled mess of cords under control with the Eureka i60 Gaming Desks Cable Management System for your Gaming PC, Gaming Laptop, Xbox, or PS4. The Eureka i60 is a pretty awesome gaming desk by it's self. But, when you add our gaming desk accessories to the I60 you now have the perfect battlestation to destroy your competition. Upgrade your Z60 gaming desk with our adjustable gaming keyboard tray, sidecar CPU rack, extra large gaming mouse pad, and gaming accessory pack to take your gaming desk to the next level! Your satisfaction is our top priority. 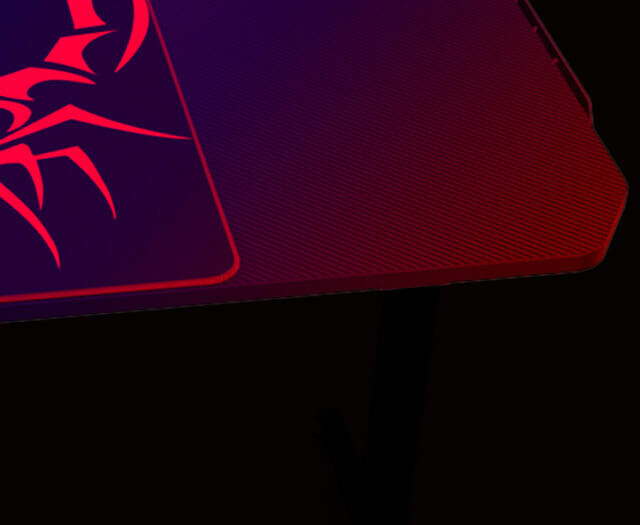 We make sure we're only designing and manufacturing the best gaming desks on the market today. We hold our gaming products to a high standard and hope you have an excellent experience using our gaming computer desks and gaming accessories. Here's some real reviews, by real shoppers about the Eureka i60 gaming desk. We hope when you buy your first or next Eureka gaming desk, standing gaming desk, or gaming accessories you love them too. We're offering you a 30-Day Risk Free Guarantee. If you don't like it, just send it back. It's just that easy! Plus, free ground shipping* and free return shipping* if you're not satisfied.